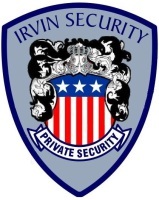 Irvin Security Agency was started in 2012, we are a licensed agency in the State of Oklahoma. We are fully insured, maintaining a general liability policy that exceeds Oklahoma licensing requirements as well as a workers compensation policy. A certificate of insurance is provied to all our new customers and available upon request to our current customers. Irvin Security, started out with the idea to create a security agency that would offer our clients with a variety of services that can be made to meet their needs. We provide security with professional uniformed officers and we provide our patrol officers with marked units to help cover large properties quickly and effectively. Our patrol units are very effective crime deterrents due to there high visibility to help thwart most criminal activity. Patrol Service is available to keep your property protected. Vacation Checks are provided to check your property while you are away. reset alarms once we have arrived on your property. We provide routine patrols of your neighborhood. Our officers will be available to conduct welfare checks in the service areas.